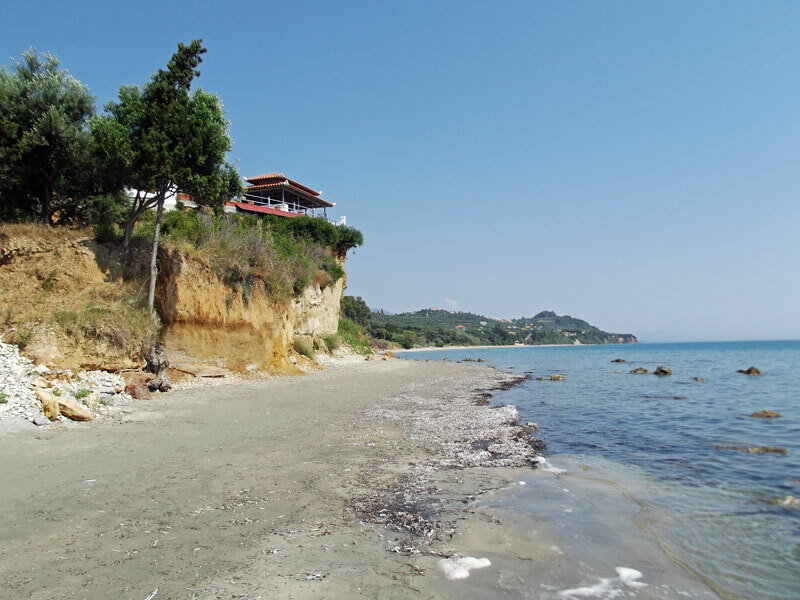 This entry was posted in events, Gargarou, Koroni on June 21, 2015 by Rachael. 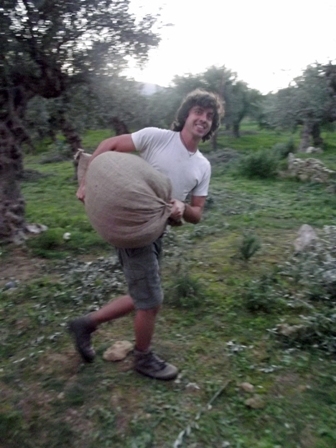 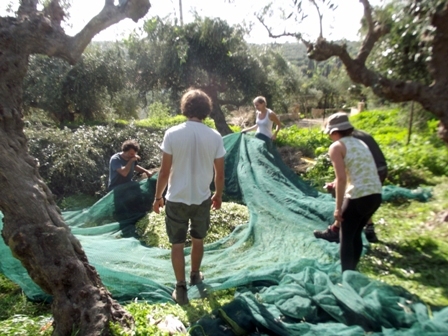 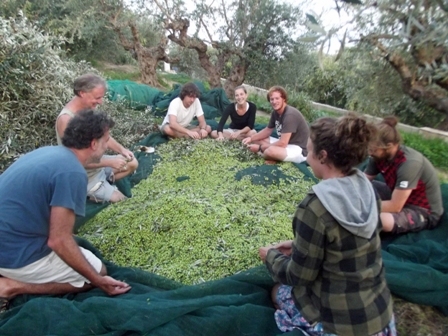 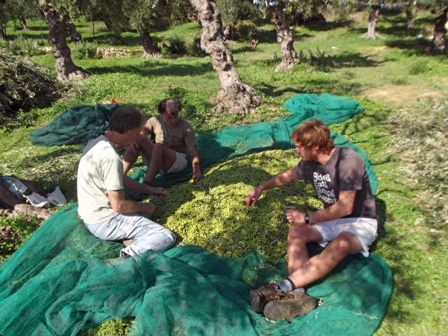 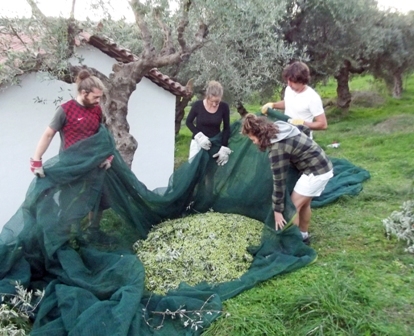 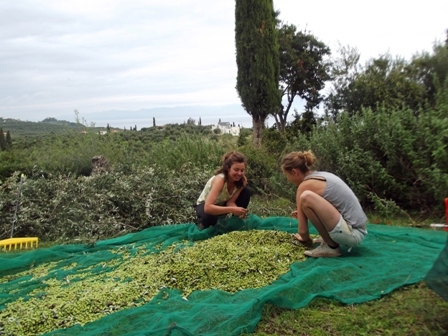 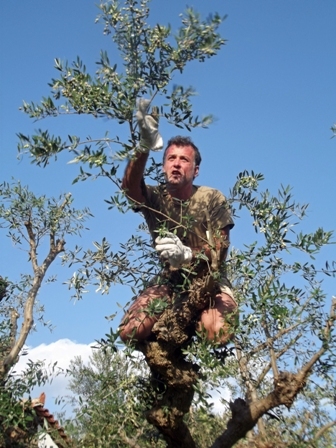 We had a great olive harvest this year, the trees were laden with ripe olives in November so we picked them early over 2 weeks with the help of 6 amazing people who came to help us through Workaway and Help- exchange organisations. 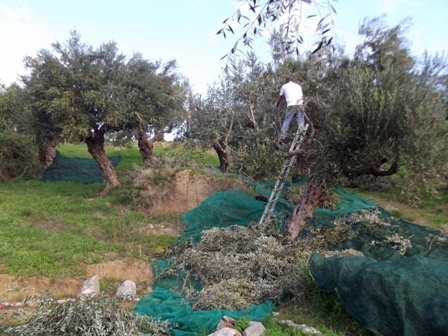 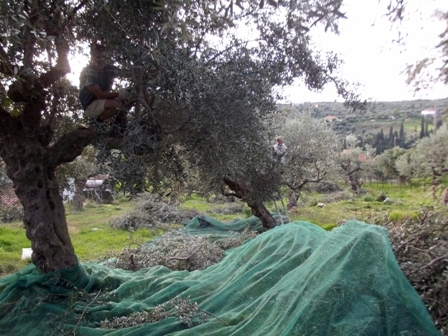 We pick our olives by hand using handsaws to cut branches from the trees and sticks and rakes to take the olives off so just the sounds of nature around us, hard work and the wonder of nature combined. 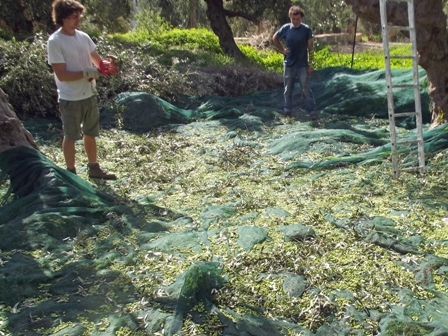 We got more oil than ever before and it tastes and smells wonderful, fresh and peppery. 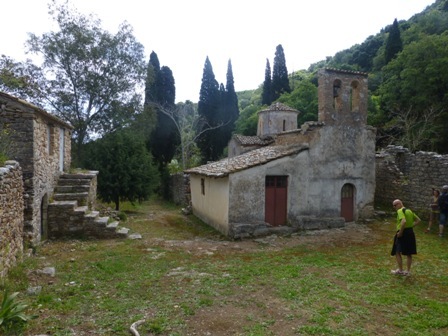 This entry was posted in Gargarou, places, travel on December 21, 2014 by Rachael. 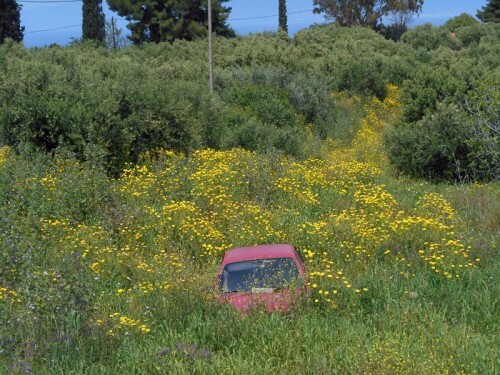 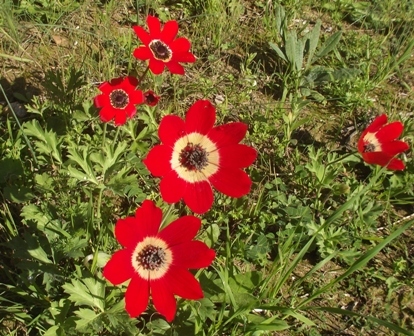 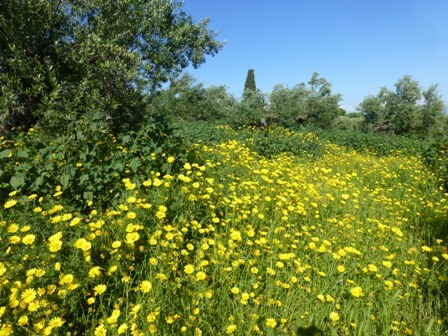 The Peloponnese in the Spring is a beautiful time with wild flowers growing in the olive groves and Easyjet now fly from 31st of March from London Gatwick to Kalamata, flying Tuesday and Saturday in April and 3 times a week in May and 4 times a week June to October. 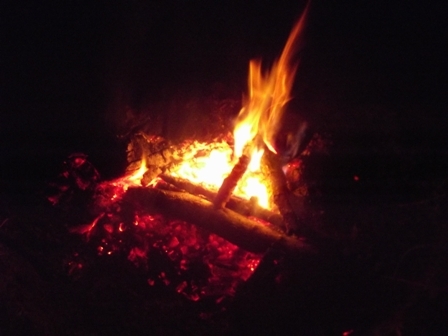 These are some photos taken by our friend Trond from Norway who came to visit us with 15 friends at Gargarou Retreat last April. 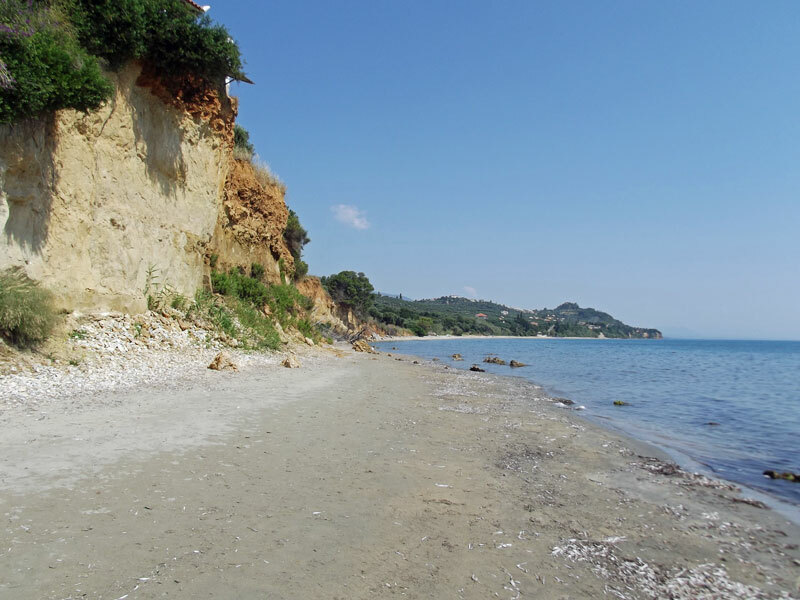 This entry was posted in Gargarou, Koroni, places, travel, Walks on December 12, 2014 by Rachael. 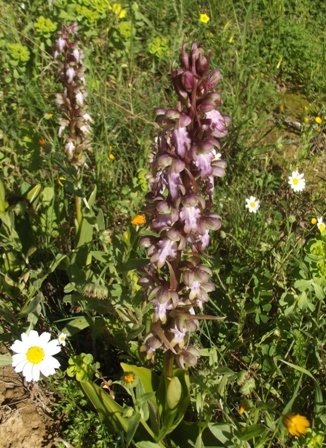 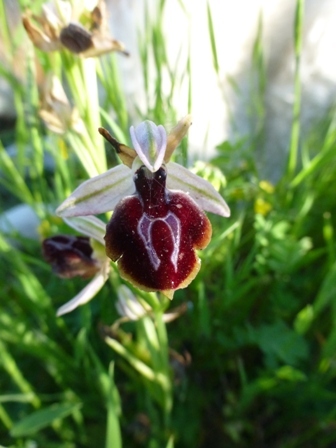 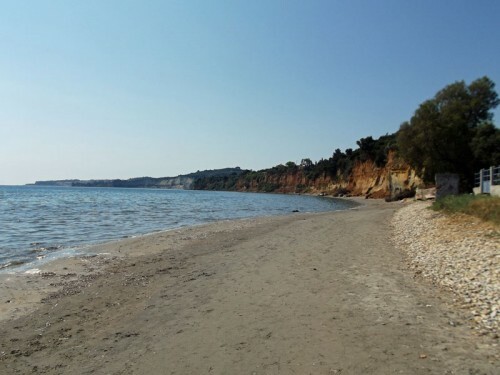 This entry was posted in Gargarou, Koroni, places on May 29, 2014 by Rachael. This entry was posted in Gargarou, Koroni, places on May 25, 2014 by Rachael. 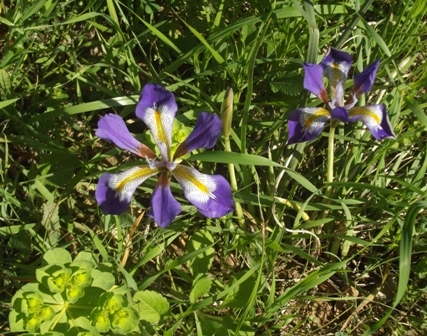 David and Ann who are staying at Gargarou Retreat took these photos. 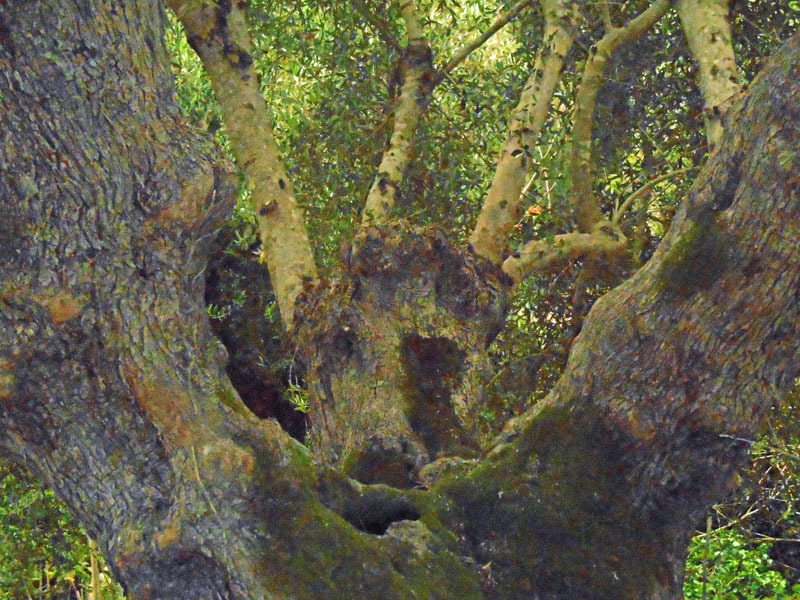 Ann says ‘this wonderful tree with a Green Man face was taken at twilight along the lower path to Harokopio’. 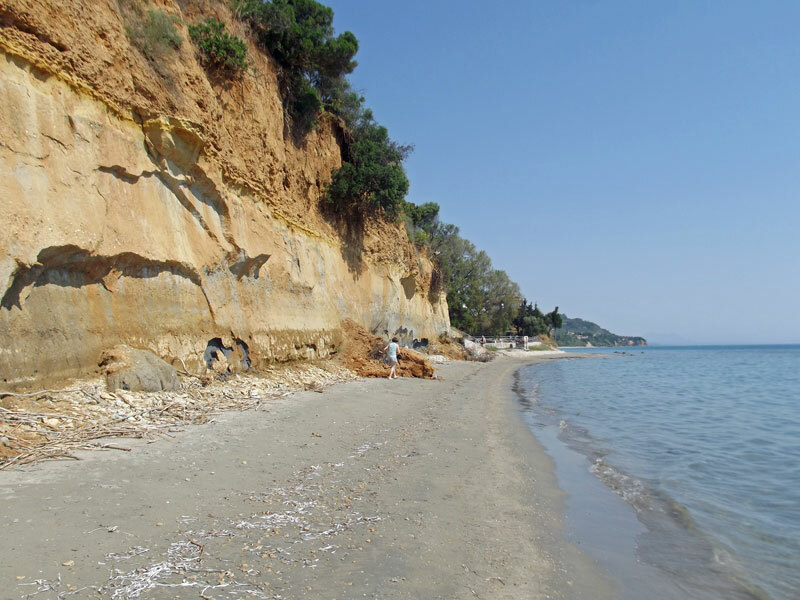 This entry was posted in Gargarou, Koroni on May 24, 2014 by Rachael. 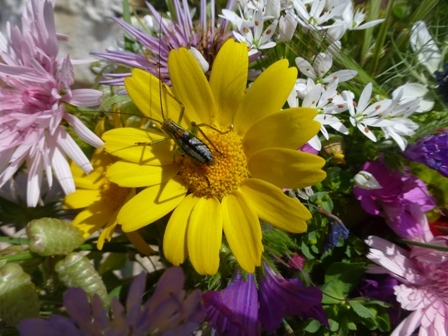 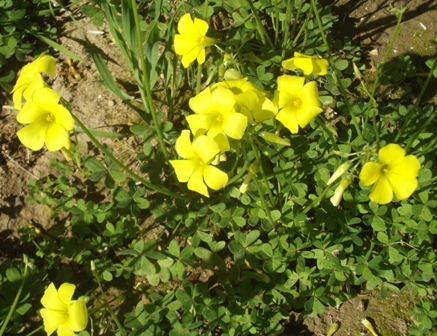 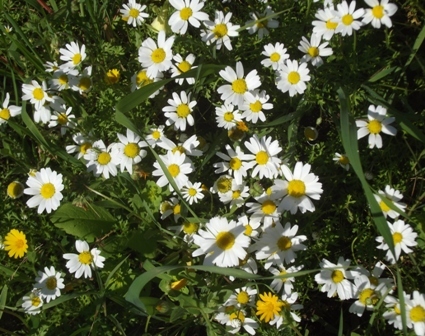 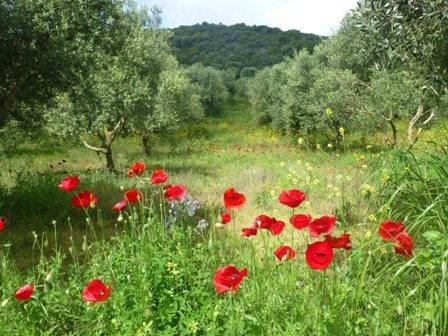 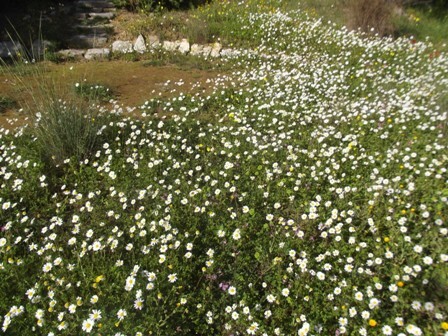 Our olive grove is full of wild flowers, bees, butterflies…. 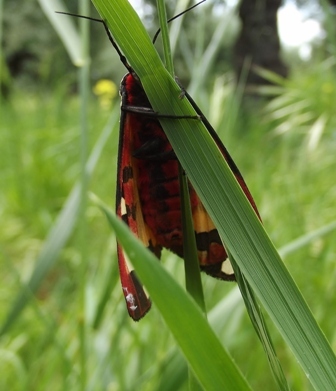 and moths. 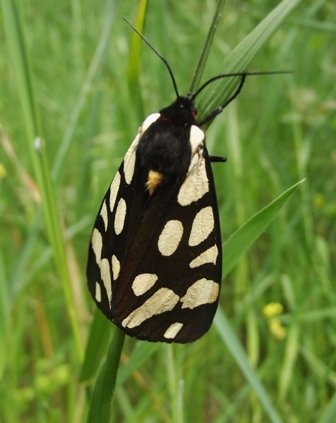 David and Ann, our guests saw this Scarlet Tiger moth, Callimorpha dominula, holding on a blade of grass being moved with the wind…being still for ages. 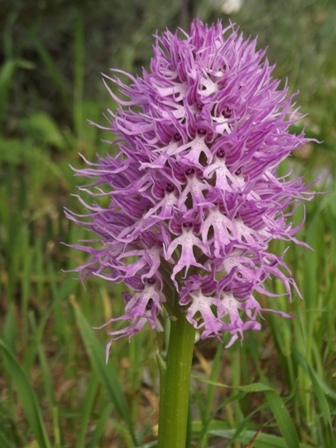 This Orchid, Orchis italica, Naked Man orchid is amazing as it grows seeing the figures form and dance out of the flower head. 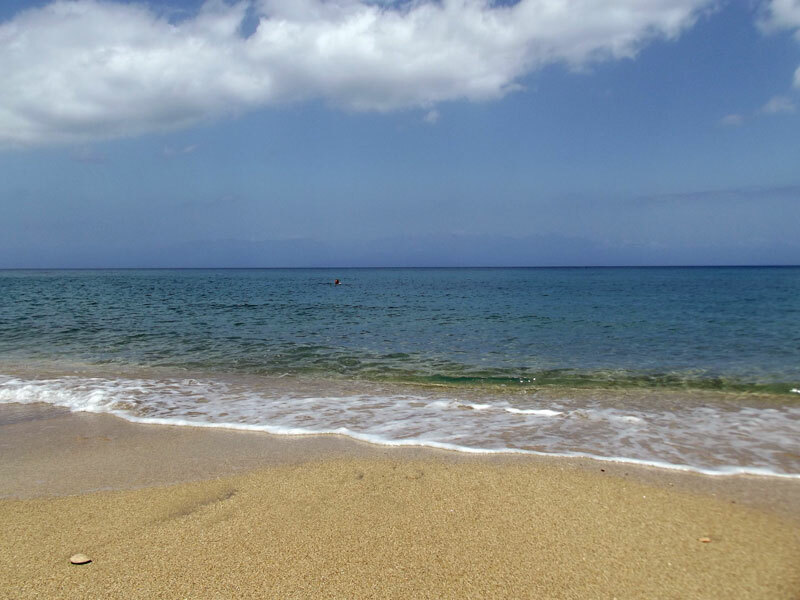 This entry was posted in Gargarou on April 13, 2014 by Rachael. 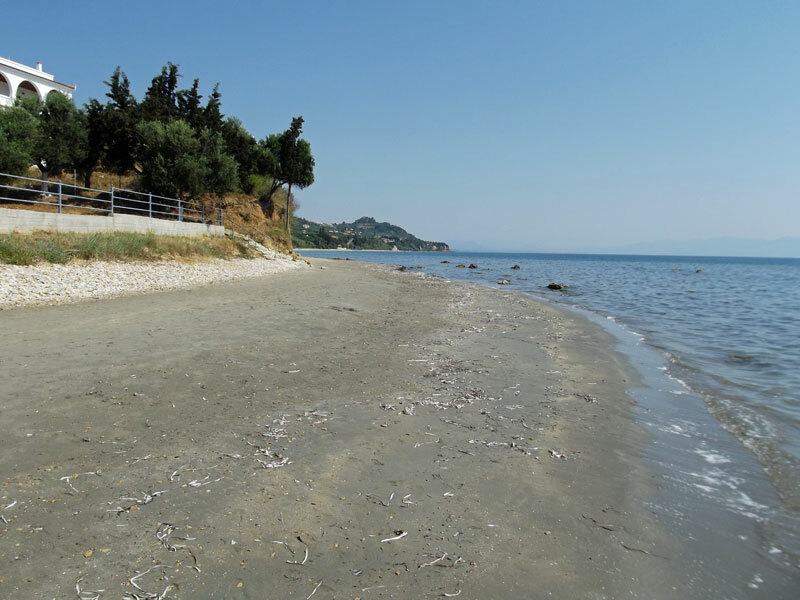 I love the simplicity of how I work with clay now, gathering clay fallen onto the beach, the olive grove being my studio, moon lit shadows of the olive trees surrounding me, layers and layers of stars, bats flying, owls calling to each other in the olive groves, a bright fire, my hands making with clay. 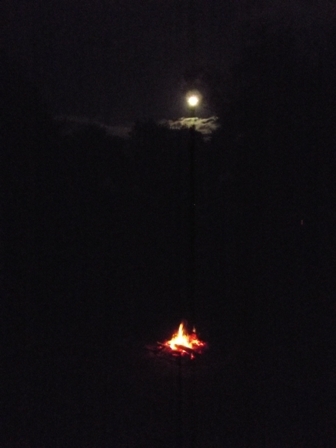 This was a making night with a fire and bright moon earlier this month. 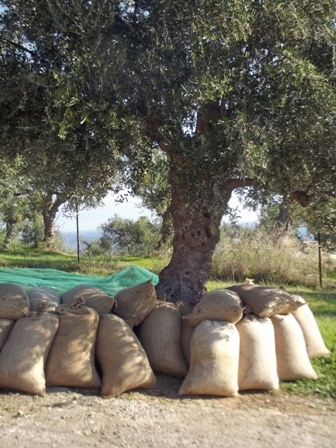 I will fire the clay pieces with the olive branches cut from the olive harvest which we did today, so will build the fire next week. This entry was posted in Gargarou on November 30, 2013 by Rachael. I especially love November at Gargarou, still warm sun, eating breakfast and lunch outside or lunch on the beach, wild flowers growing, and delicious ripe pomegranates, the last of our okra and the last figs last week. 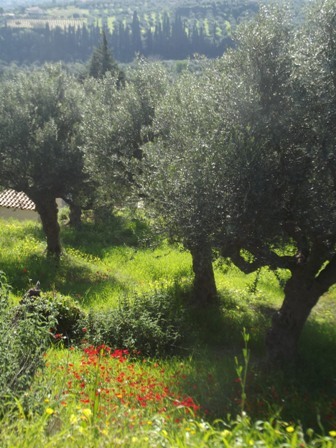 The rosemary and lavender is in full blossom and full of buzzing of bees going from one flower to another. 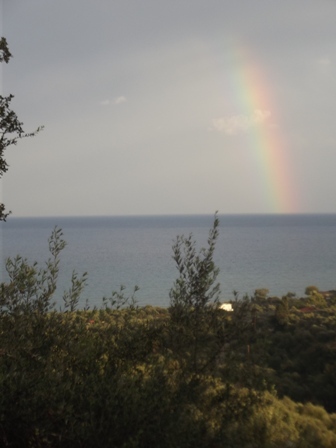 And some thunderstorms and some rain and rainbows over the sea! 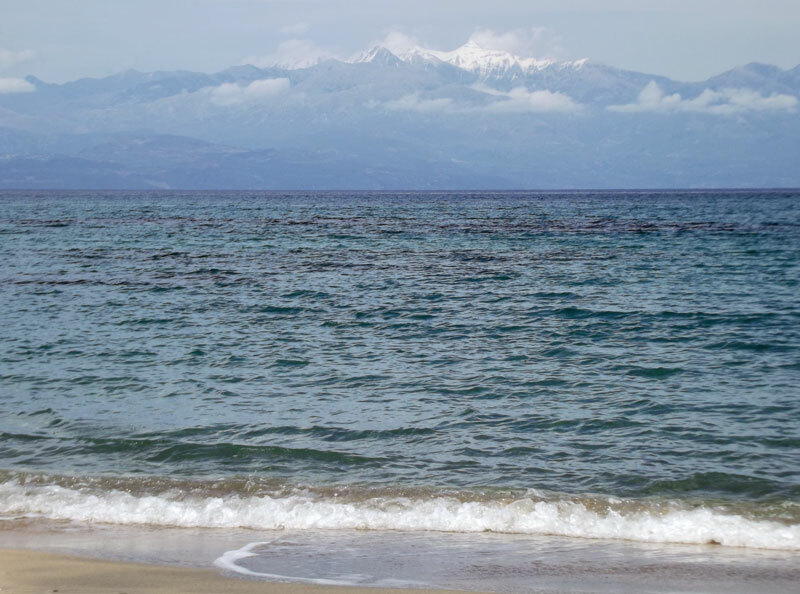 We can see the Taygetos Mountains more clearly this time of year, in the summer it can be a bit hazy, this is from Gargarou beach. 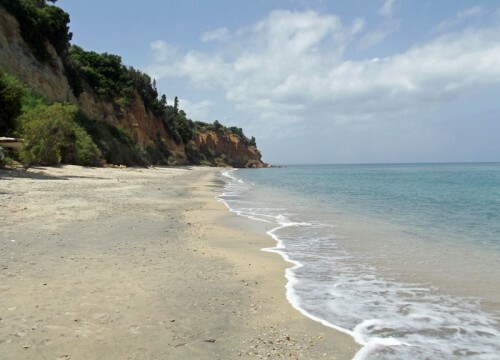 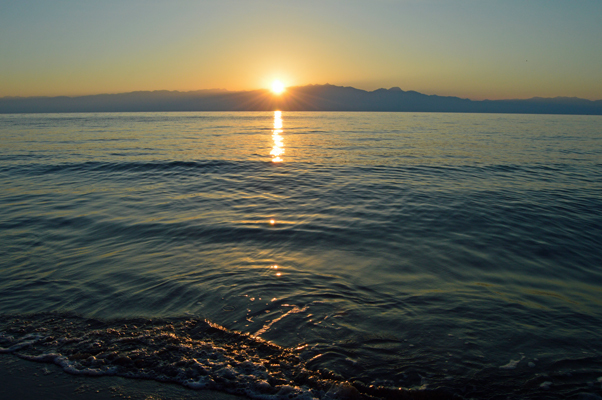 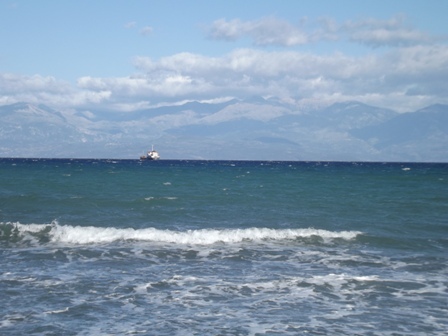 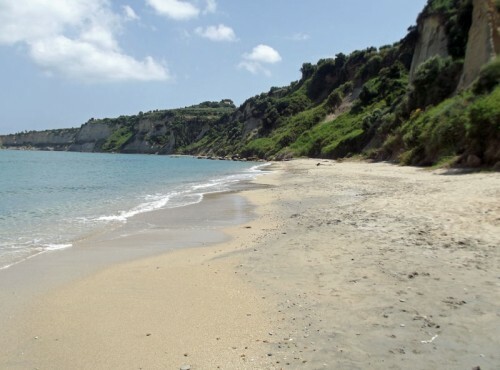 This entry was posted in Gargarou, Koroni, travel on November 29, 2013 by Rachael.